Friedrich Hayek – 1899 to 1992 was one among the several political and philosophers of the 20th century. Some of his most famous works like `The Road to Serfdom’, published in 1944 was an anti-socialist classic while his later works -`The Constitution of Liberty’ and `Law, Legislation and Liberty are considered permanent contributions to political philosophy. His final work `The Fatal Conceit’, published in 1988, seems to be something of a mystery. The amount of involvement of the work’s editor, William Warren Barley is unknown, which has worried several scholars. Something that could be incorrect in the published version was brought to the notice by Jeffrey Friedman, editor of Critical Review in 1998. Friedman, in 1986, had written that `he had served as research assistant to W.W. Bartley, the editor of the book and the products of Bartley’s efforts were allegedly reviewed by Hayek. 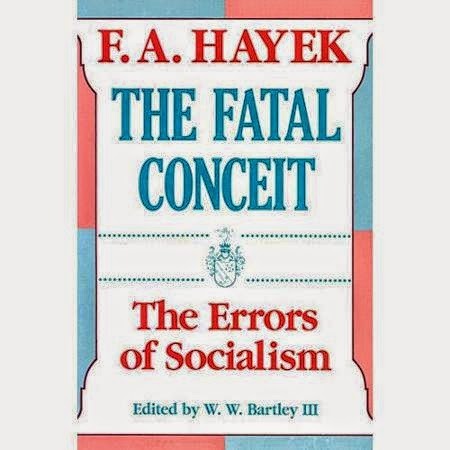 The Fatal Conceit – The Errors of Socialism is a non-fiction book written by Friedrich Hayek and edited by William Warren Bartley. The title of the book is related to a passage from Adam Smith in his `Theory of Moral Sentiments’. The attempt of the book is to contradict all forms of Socialism by indicating that socialist theories besides being logically incorrect, the premises they used in forming their arguments are also improper. According to Hayek, the birth of civilization is because of the start of societal tradition with importance on private property which leads to expansion, trade and ultimately the modern capitalist system which is known as the extended order. He debates that this exhibits a key flaw in the socialist though that holds only what is purposely designed to be most efficient. However in Hayek’s terminology of `socialist’, economies cannot be efficient due to the dispersed knowledge needed in modern economy. Moreover since modern civilization and other customs and traditions leading to current order, are needed for continuity, any fundamental change to the system trying to control it is destined to be a failure. This is due to the impossibility or unsustainability in modern civilization and price signals are the only means in enabling each economic decision maker in communicating implied knowledge or dispersed knowledge to them for the purpose of solving the economic calculation problem. The Fatal Conceit has a unhappy history and Hayek has considered it as the great work of his last years of his career. It grew out of `The Three Sources of Human Value, the epilogue of `Law, Legislation and Liberty which was published in 1979. In May 1978, when Hayek was 79 years old, `The Three Sources of Human Values’, was initially given as a lecture at London School of Economics. Here, Hayek tried to convey the general direction wherein his ideas were moving towards the end of his career. During his lecture he stressed the idea that there are three sources of human values and institutions. Besides this, there are subconscious sources that surface through group selection, in addition to genetic and intellectual sources. These sources are not sufficiently regarded as either rational or innate. On the contrary, these are rules of human conduct which may be displayed due to the success of the human groups which practice them. Improved rules may result in more efficient human communities where the latter is defined as the communities that are most productive, materially. 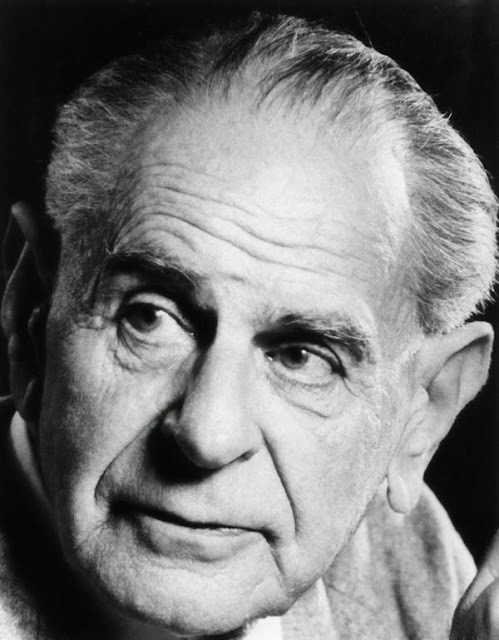 Karl Popper known as Sir Karl Raimund Popper, an Austrian born British philosopher of natural and social science subscribed to anti-determinist metaphysic, was of the opinion that knowledge evolves from experience of the mind. He was born on July 28, 1902, in Vienna, Austria and died on September 17, 1995, in Croydon, Greater London, England. In the 20th century, Karl Popper was regarded as one of the greatest philosophers of science. He is also known for his rejection of the classical inductivist views on scientific methods in favour of empirical deception. Theory in empirical sciences cannot be proven though it could be fabricated which means that it should be examined by decisive experiments. Should the result of the experiment oppose the theory, they should refrain from ad hoc schemes that could avoid the contradictions by making it less made-up. Popper is also known for his disapproval to the classical justificationist account of knowledge that was replaced with critical rationalism by him, `the first non-justificational philosophy of criticism in the history of philosophy’. In political address, Popper is known for his vigorous defence of liberal democracy as well as the principles of social criticism. He was of the belief that it made a flourishing possibility of `open society’. In his later years, his political philosophy held ideas from all important democratic political ideologies and also made efforts in reconciling them – social democracy, conservatism and classical liberalism. He also wrote on the problem of determinism as well as free will, researching several past thinkers on the subject, formulating his own `evolutionary’ model of free will. On his lecture delivered at Washington University in St. Louis in April 1965, on Arthur Holly Compton, Of Clouds and Clocks, he observed that the earlier thinkers had seen the only alternative to determinism as chance. Though Popper’s first book – The Logic of Scientific Discovery in 1934, was published by the Vienna Circle of logical positivists, he rejected their empiricism and developmental historicism. On studying physics, mathematics and psychology at the University of Vienna, he taught philosophy at Canterbury University College in New Zealand -1937 to 45. Towards 1945, he was a reader at the London School of Economics, serving there as a professor of logic as well as scientific method from 1949 till his retirement in 1969. Karl Popper's major contribution to the philosophy of science is on his rejection of the inductive method in the empirical sciences. A scientific hypothesis can be tested and verified by attaining the repeated results of substantiating observations, as per the traditional view. David Hume, a Scottish empiricist, had portrayed that only an infinite number of confirming result can prove that the theory could be accurate. Popper debated that hypotheses are deductively certified to what he calls the `falsifiability criterion’. A scientist under this system tends to pursue to discover an observed exception to his assumed rule and the absence of contradictory evidence then becomes corroboration of his theory. Popper’s belief that such pseudoscience as astrology, metaphysics, Marxist history as well as Freudian psychoanalysis are not empirical sciences, due to their failure in adhering to the principle of falsifiability. 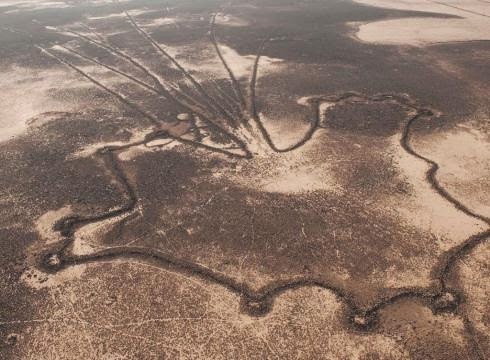 Desert kites are considered to be constructions which comprise of two long walls usually built of un-mortared field stone which had been arranged in a `V’ or funnel shape, that is broad at one end, having a narrow opening leading to an enclosure or pit at the other end. It is joined on an enclosed space which has been on its border small stone constructions known as cells. When seen from space, their shape indicate that of a windborne kite and hence they are called kites by pilots who flew over these arid areas of the Near East at the time of the British and French mandates during the first half of the 20th century CE. Desert kits were first recognized in 1920s by the Royal Air Force pilots flying over the eastern desert of Jordan and the pilots named them `kites’ since their outline when seen from above represented it as kites. The earliest desert kites dates to the Pre-Pottery Neolithic B period of 9th -11th millennia BP though the technology was used as recently as the 1940s in order to hunt the Persian goitered gazelle. Historic and ethnographic reports of these activities indicate that around 40 to 60 gazelles were trapped and killed in a single event and on occasion around 500 – 600 animals could be killed at a time. These kites represent various characteristics which according to archaeology are the object of specific research though most of the methods of investigation seem useless due to the nature of these constructions. A desert kite is said to be a variation on a type of communal hunting technology that was used by hunter-gatherers all over the world. As in the case of ancient technologies like buffalo jumps or pit traps, these desert kites consist of a collection of people purposefully herding a large group of animals into enclosures or pits, or off steep cliff edges. 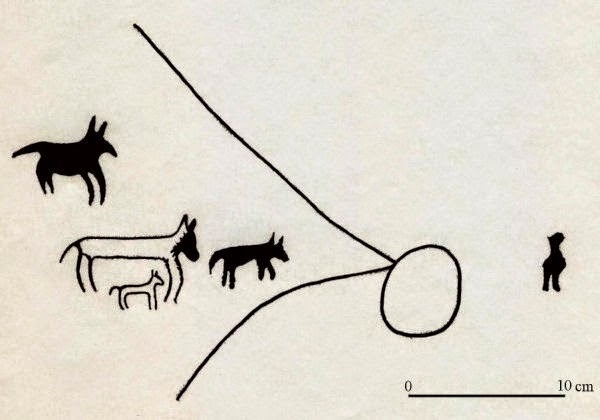 Group of hunters would tend to chase or herd large game animals in the wide end and chase them down the funnel to the narrow end they would be trapped in a pit or stone enclosure and then easily slaughter them. According to archaeological evidence, it indicates that the wall need not be tall or very large. It was a hunting technique which involved a group of people who planned prior to the event and worked collectively to herd and ultimately slaughtered the animals. Usually the desert kite are built where natural environment helps the effort on flat land between narrow deeply carved gorges while some tend to have constructed ramps leading gently upward to increase the drop off towards the end. The stone wall or oval pits towards the narrow end tend to be between 6 and 15 metres deep with some stone walled and in some cases are also built into cell so that the animals’ speed is reduced while leaping out. Ever since the kites were first discovered, their functions has been discussed in archaeological groups and till 1970, most of the archaeologicals are of the belief that the walls were utilised to herd animals in times of danger in defensive corrals. However, archaeological evidences together with ethnographic reports inclusive of documented historic slaughtering incidences led several researchers to abandon the defensive reason. The Principality of Wy is an Australian micronation located in the Sydney suburb of Mosman and was established in 2004 due to an extended dispute which occurred with the local council, Prince Paul Ashton Delprat and has been described as `the Artist’s Principality. Since then, the Artist’s Principality is featured in media all across the globe and has been promoting art and artists. Created by Paul, in protest to construct a driveway for access to his private residence with a plan to build a driveway over his frontage, a road un-built near Wyargine Reserve which was initially approved in principle though formal approval was delayed resulting in bureaucratic mistakes. Eleven years after its submission, his development application got rejected due to further bureaucratic errors wherein, at the ceremony at Mosman Town Hall, Delprat announced his secession from Mosman Municipality and presented his Declaration of Independence on November 15 2004, to the Mayor of Mosman, dressed in full regalia as `Prince Paul of Wy’. Delprat is known in Sydney’s arts community as the principal since 1988 of Julian Ashton Art School which is one of Australia’s most famous cultural educational institutions. Before joining Julian Ashton Art School as a Principal in 1988, he was privately teaching in Sydney and N.S.W. Universities, Newington College and the Australian Independent International School. At the Julian Ashton Art School, in 1990, he inaugurated the school’s Scholarship program, beginning with the Sir William Dobell Scholarship which was sponsored by The Sir William Dobell Foundation. As an art student, Delprat won the Prize of The Henry Gibbons Drawing, The Phillip Muskett Landscape and The Le Gay Brereton Drawing at the Art Gallery of New South Wales and The Waratah Festival Sculpture and the Drawing Prizes were awarded by Mr Rupert Murdoch. He continued with his studies in the galleries of Paris and London. 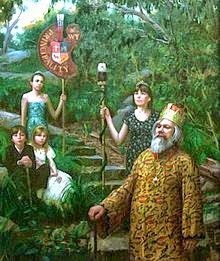 He is the Patron of Portrait Artists Australia as well as The Mosman Art society together with an Associate of the Royal Art society of New South Wales and went on to serve as a judge of fine art for several competitions which were held all over Australia. The principality is also an active patron of art and sponsors several art prizes. Since the formation of the principality of Wy, it has been covered by local as well as international news which included Sky News, The Daily Telegraph – UK, The Sydney Morning Herald, The National (Abu Dhabi), The Daily Telegraph (Australia) and The Kuwait Times. The outcome of the media interest resulted in the invitation issued to Prince Paul in 2010 by Dr Judy Lattas of the Sociology Department of Macquarie University, to address and give a paper at a seminar which was held on Dangar Island as a part of a study on micronations. The paper was presented by the principality outlining the value of micronations while thanking the wider Australian community for being tolerant of independent perspectives. The local studies department of Mosman council, in May 2011, released an interview with Prince Paul as part of the `Mosman Faces’ project. The Akashic Records branched from the 5000 year old Sanskrit word `akasha’ meaning `sky, space or aether’. They are the hidden library in space, a secret hall with records which can be revealed by getting into the subconscious mind by deep meditation. 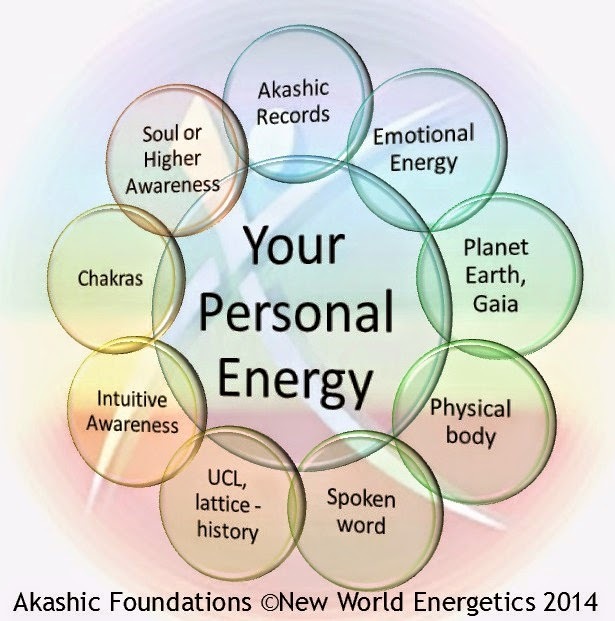 In our technologically enhanced world, the Akashic Records can be comprehended better as our astral internet or Universal Wide Web wherein anyone could access or obtain information required at any point of time on anything or anyone. Reality seems to be a consciousness hologram and Akashic Records denotes the matrix of consciousness programs which tend to create the reality within that hologram. You could consider it as a library of light wherein one can gain access on all information. The Akasha occurs at the subconscious level wherein the state of awareness is just prior to waking up in the morning or right as one falls asleep. It is only through a deep state of meditation can a person bridge the gap to read what is in the enormous informational databank without the chance of losing consciousness and fall asleep. 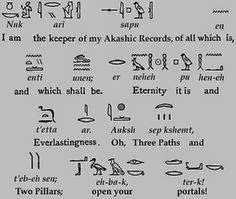 Those defending the truth of the Akashic Records claim that they were accessed by the ancients of various cultures which included the Bonpo, Indians, Tibetans, Moors as well as others from the Himalaya, Egyptians, Persians, Chaldeans, Chinese, Greeks, Hebrews, Christians, Druids and Mayans. It is claimed that the ancient Indian sages of the Himalayas were of the knowledge that each soul, jiva, atma or entity, documented each moment of its existence in a book. On accustoming oneself properly, one could access the book. Nostradamus had claimed to have gained access by using systems resulting from the Greek oracles, Christian and Sufi religion and the Kabbalah. Others who claimed to have consciously utilised the Akashic Records comprise of Alice Bailey, Annie Besant, Charles Webster Leadbeater, Dion Fortune, Edgar Cayce, George Hunt Williamson, Lilian Treemont, Manly P. Hall, Max Heindel, Rudolf Steiner, Samael Aun Weor and William Lilly besides others. It was reported that Sujujin, a Chinese man needed only the first name of anyone to access the Akasha to describe their life history. Tajao, another Chinese could explore various topics in the records that span over two thousand years. At the time of accessing the Akashic Records, the events and the responses are considered to be observed which is equivalent to having a Meta enhanced cinematic experience. While accessing into the future, the events are known but the responses could only be probable. Depending on the individual’s responses in the past, the Akashic reader could probe into probable future response giving the highest future possibility. However at a certain stage in the evolution of the Akashic reader, a state of union and awareness could be achieved wherein the future responses can be known with complete clarity rather than just a possibility.